- Experience playing with Chamber Music, String Quartets, Popular Cuban Music, etc. - First violin in the Symphony Orchestra of Piura, Peru, where he taught violin to students Piura as well as in Lima. 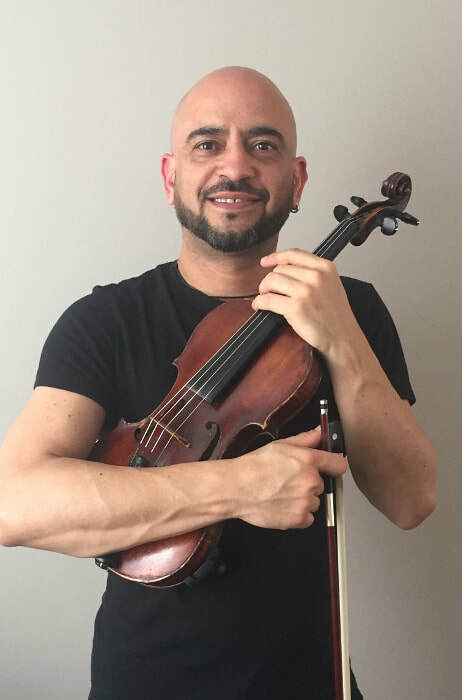 Upon arrival in Canada in January of 2016 Esteban became a member of the Kitchener-Waterloo Community Orchestra, Waterloo Chamber Players and the Kitchener-Waterloo Chamber Orchestra, and has most recently featured in performances with the Stratford Symphony, Benton Street, Kitchener annual Christmas performances and Really Big World Productions under Director Joaquin Nunez Hidalgo. Esteban joined the Sound Factory team in March, 2018. Esteban would love to meet you! Let's get started.